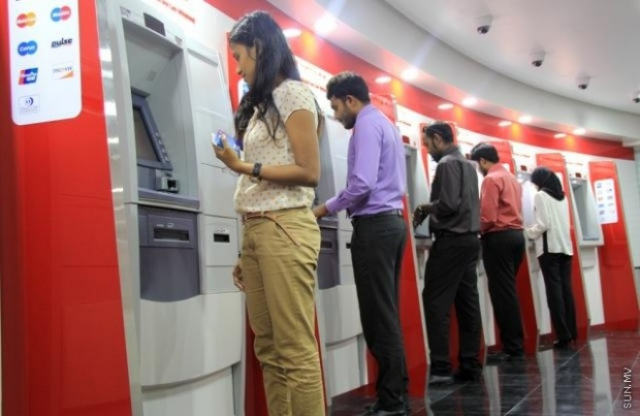 Bank of Maldives (BML) has made the decision to increase the limit for its ATM withdrawals and deposits, starting from coming Thursday, March 1. BML announced this Wednesday that customers will be able to withdraw up to MVR 25,000 and deposit up to MVR 50,000 per day from personal accounts. BML customers can currently withdraw up to only MVR 10,000 and deposit up to MVR 25,000 from personal accounts. The bank says the limit will also be increased for USD withdrawals and deposits. Starting from coming Thursday, BML customers will be able to withdraw up to USD 1,600 and deposit up to USD 3,200 per day from ATMs. Customers can currently withdraw up to only USD 640 and deposit up to USD 1,600 per day. With the change, customers in islands which have ATMs will be charged a fee of MVR 75 for transactions lower than MVR 20,000 from bank counters. No such fee will be charged for transactions in islands which have no ATMs, says the bank. Elderly citizens who choose to visit BML branches instead of using ATMs will also not be charged any fee, says BML. The national bank of Maldives, BML says its customers made over 10 million transactions via ATMs and self-service banking centers in 2017.